Taipei Aikido Shiseikan presents the 1st Yoshinkan Style Aikido Seminar with Ramlan Ortega Sensei, 6th Dan, in Taipei, Taiwan. 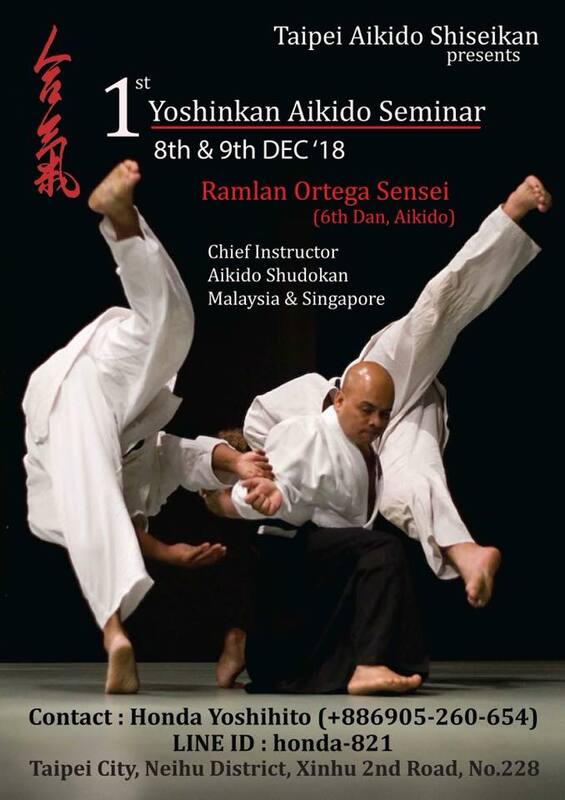 Ramlan Ortega Sensei has a vast amount of Aikido experience and is currently the Chief Instructor of Aikido Shudokan Malaysia and Aikido Shudokan Singapore. He is a much sought-after teacher and has taught in Australia, Asia, Iran and Europe.